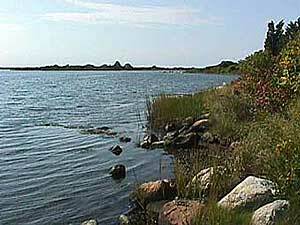 Before going on the field trip, learn more about Ninigret Salt Pond so that you can fully appreciate this beautiful place. Ninigret Salt Pond's unique physical characteristics have attracted people to its shores throughout history. In fact, the area surrounding the pond has become so popular that the pond's environment has been affected. Once you are ready to experience this unique environment for yourself, join us on our virtual field trip.